Li, Julie Juan, Linda Chen (2010), "External Learning and Firm Performance in China: A Contingency View", presented at Global Marketing Conference, Tokyo, Japan. Poppo, Laura, Kevin Zhou, and Julie Juan Li (2010), "Resolving Tensions and Disbelief in Trust Research: An Inquiry of Identity-based and Calculative Trust in Inter-Organizational Exchanges", presented at International Association for Chinese Management Research Conference, Shanghai, China. Qiong Wang, Julie Juan Li, and Bill Ross (2010), "The Role of Social Capital in Buyer-Seller Relationships: A Transaction Cost Approach", presented at ISBM Academic Conference 2010, Boston, U.S.A.
Sheng, Shibin, Kevin Zheng Zhou, and Julie Juan Li (2009), "Is More Knowledge Always Better? The Effect of Knowledge Breadth and Depth on New Product Performance", presented at 2009 American Marketing Association Educators’ Conference, Chicago, IL. Sheng, Shibin, Kevin Zheng Zhou, and Julie Juan Li (2009), "Institutional Environment and the Value of Social Network Ties in China", presented at 3rd China Goes Global Conference, Cambridge, MA. Li, Julie Juan, Kevin Zhou, and Alan Shao (2008), "Competitive Strategy, Managerial Ties, and Profitability of Foreign Firms in China", presented at Academy of International Business Annual Meeting, Milan, Italy. Li, Julie Juan, Kevin Zhou, and Laura Poppo (2008), "Social Capital, Contractual Arrangement and Local Knowledge Acquisition by International Subsidiaries", presented at Strategic Management Society 28th Conference, Cologne, Germany. Li, Julie Juan, Kevin Zhou, and Alan Shao (2007), "Achieving Competitive Advantage in Emerging Economies: Market Orientation versus Managerial Ties", presented at 2007 Informs Marketing Science Conference, Singapore. Li, Julie Juan, Kevin Zhou, and Alan Shao (2006), "Market Orientation or Managerial Ties? How Foreign Firms Achieve Competitive Advantage in Emerging Economies", presented at The 48th Annual Meeting of the Academy of International Business, Academic of International Business, Beijing, China. Li, Julie Juan, Kevin Zhou, and Laura Poppo (2005), "Managerial Ties in China: When do They Bolster or Damage Performance? 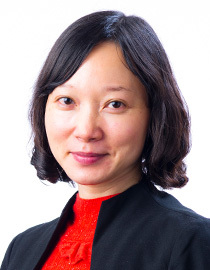 ", presented at Academy of Management Annual Meeting, Hawaii, U.S.A.
Li, Julie Juan (2004), "The Formation of Managerial Ties in Foreign Firms in China: The Effects of Strategic Orientations", presented at Asia Academy of Management Annual Meeting, Shanghai, China.